• Masterplan (interactive) - NEW! • Building plots (price & size) - NEW! • Guajiru Credit Facility - NEW! • Guajiru North Int'l Airport - NEW! • PAC Program - NEW! 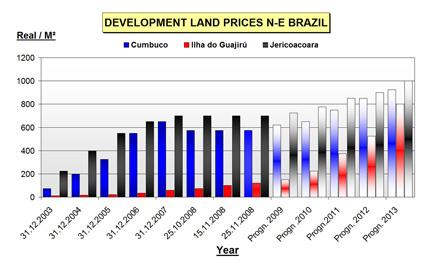 Land prices have been sharply increasing already over the last 5 years in the North East of Brazil. The driving course behind the price increases are very evident; few other locations have such attractive ingredients as Ceara. A lot of capital is flowing from overseas investors into this area. To allow you as a possible future investor in this area to have more information we provide you below a chart for your study and analysis. As you may notice the increases on Real Estate have been extremely sharp. 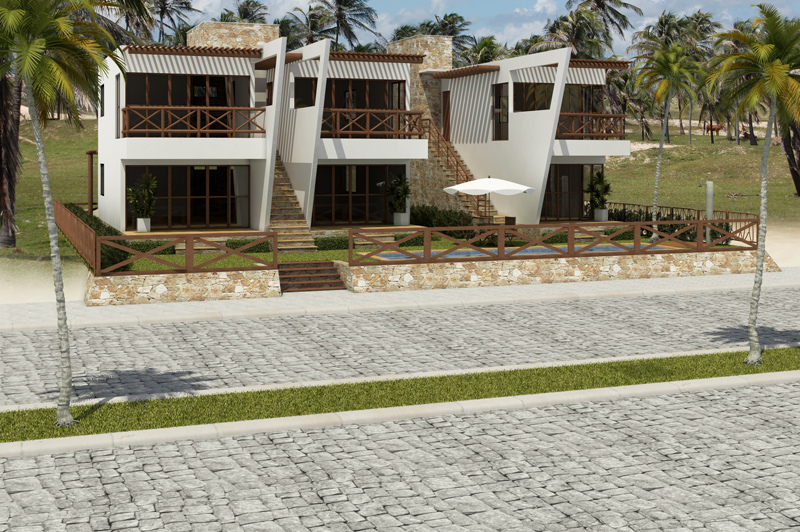 Already taken place for the firstly discovered places as Cumbuco and Jericoacoara – and yet underway for the just a few years ago discovered Ilha do Guajiru. 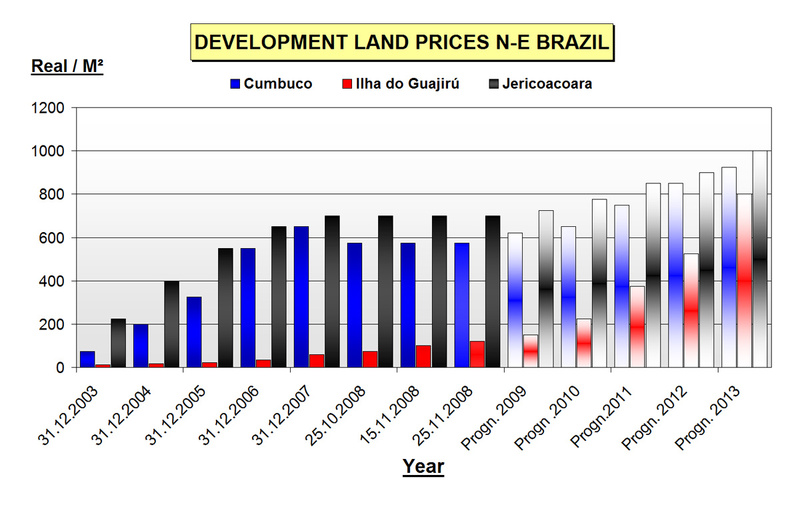 As you may see, today (written May 2011), even while the price increased already quite a bit on our island, the price on Ilha do Guajirú is still no more then only 20 to 30% of the price elsewhere, as in places like Cumbuco and Jeri! But one thing is sure: the first investors and entrepreneurs have already seen a return of 80% resp. 70 % on their investment during 2008, 2009 and 2010!